Spring is a popular time for detoxification, cleansing the body of toxins and congestion that have accumulated throughout the winter. Spring cleaning is essentially the same idea, it’s clearing your home of unwanted items and debris that have built up over the season. Consider detoxing your home this spring, while simultaneously supporting the body through detox by minimizing your toxic load. 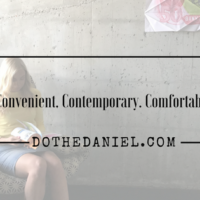 Nutrition school was where I learned about the toxic load and ‘barrel effect’ – the idea that the body can only handle a certain level of toxins and stress before becoming overburdened. 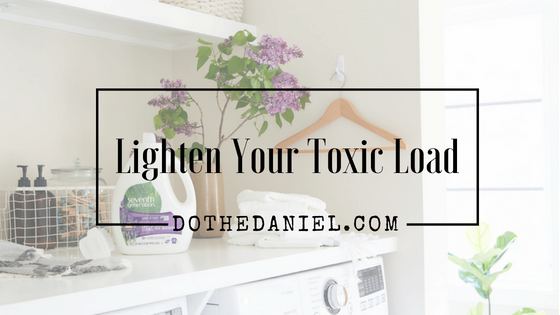 The more toxins we are exposed to, whether it’s through food, personal care products or the environment, the more we increase our toxic load. When our body is overloaded, it can appear as headaches, fatigue, brain fog, digestive issues, skin irregularities and poor sleep. 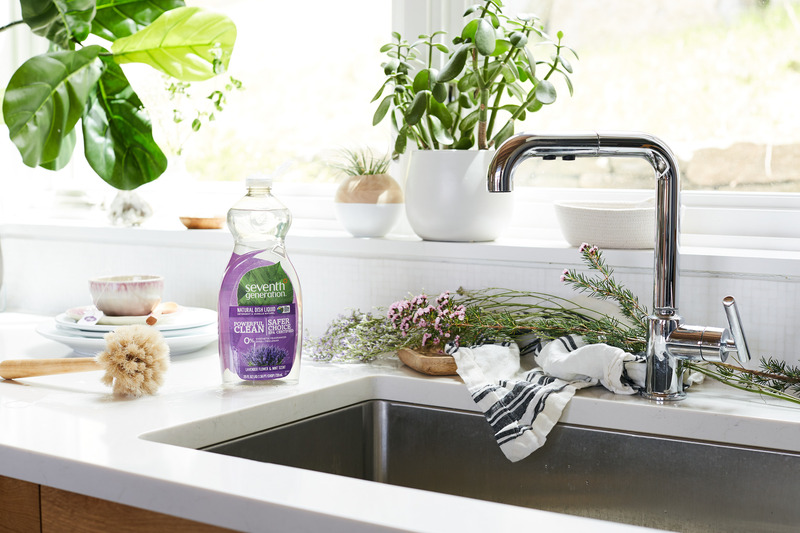 If you’re not sure where to start with your spring cleaning, swap chemical-laden home cleaning products for eco-friendly products that are kinder on the environment and your health. 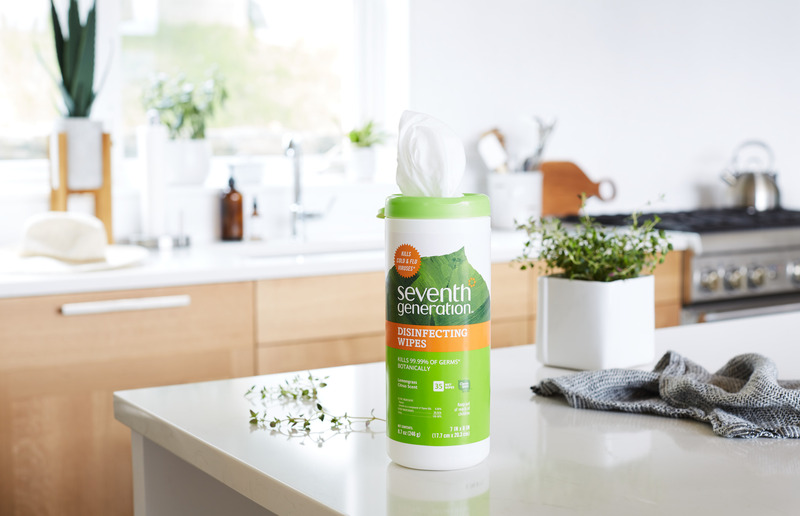 Seventh Generation has an extensive line of bio-based, plant-based products to help you conquer all your home cleaning tasks, from laundry detergent, disinfectant wipes to bathroom cleaner. Even simple changes to things like your diapers, wipes, toilet tissue and paper towels can make a huge difference on your health and on the health of your family. Their disinfectants alone kill 99.9% of Household Germs*, with no rinsing or wiping required after, even on food contact surfaces. *Kills over 99.99% of household germs, specifically: Influenza A virus, Staphylococcus aureus, Salmonella enterica, Pseudomonas aeruginosa, and Escherichia coli on hard, non-porous surfaces. The name “Seventh Generation” is attributed to the “Great Law of the Iroquois.” In the document it states, “in our every deliberation, we must consider the impact of our decisions on the next seven generations.” In the first 5 years of business, Seventh Generation has prevented approximately 29,000 trees from being cut down, saved nearly 500 million gallons of water and kept more than 33,000 cubic feet of solid waste out of the country’s landfills. Never tested on animals, they also go above and beyond by working hard to ensure that even some of their packaging is made from recycled materials. 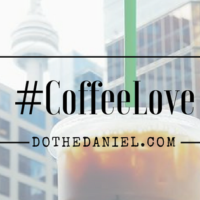 Donating 10% of profits to non-profit community, environmental, health, and responsible business organizations working for positive change, their aim is to inspire a consumer revolution that nurtures the health of the next seven generations. 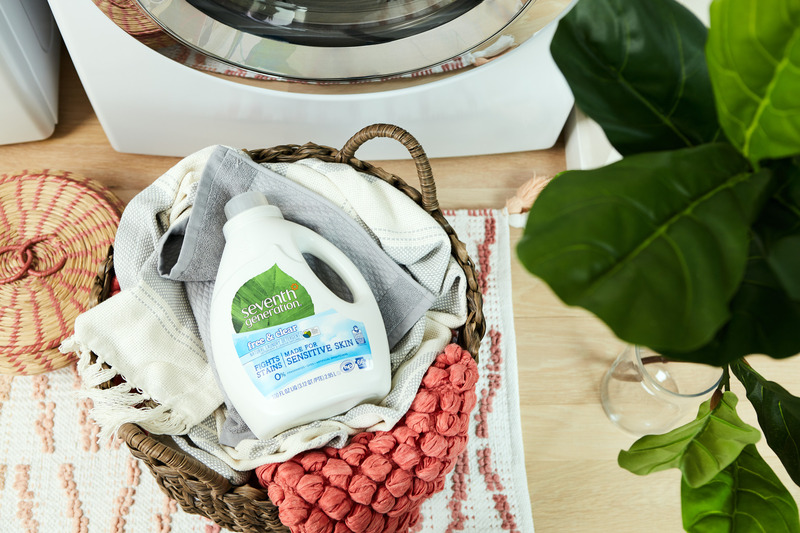 Their laundry detergent is made with 97% plant-based ingredients with no dyes, optical brighteners or synthetic fragrances. 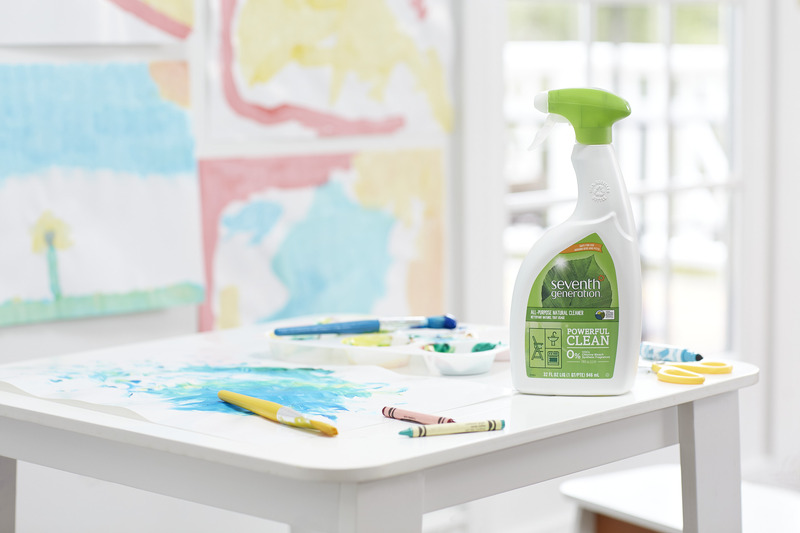 It’s tough on stains, but gentler on our world. 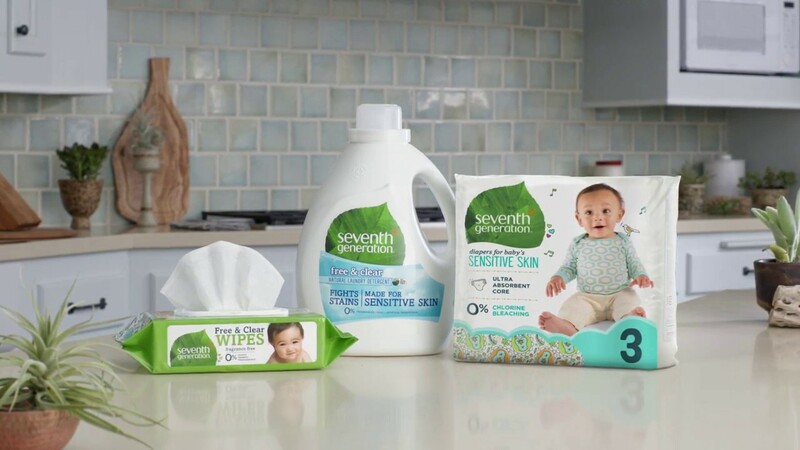 According to the Seventh Generation bottle, if every U.S. household replaced one bottle of petroleum-based detergent with a plant-based one, 149,000 barrels of oil could be saved — which is enough to heat and cool 8,500 homes for a year. With virtually no scent left in clothes, it still smells clean and fresh and works well at all washing machine termperatures. Being hypoallergenic, it’s good for sensitive skin and conditions like eczema. 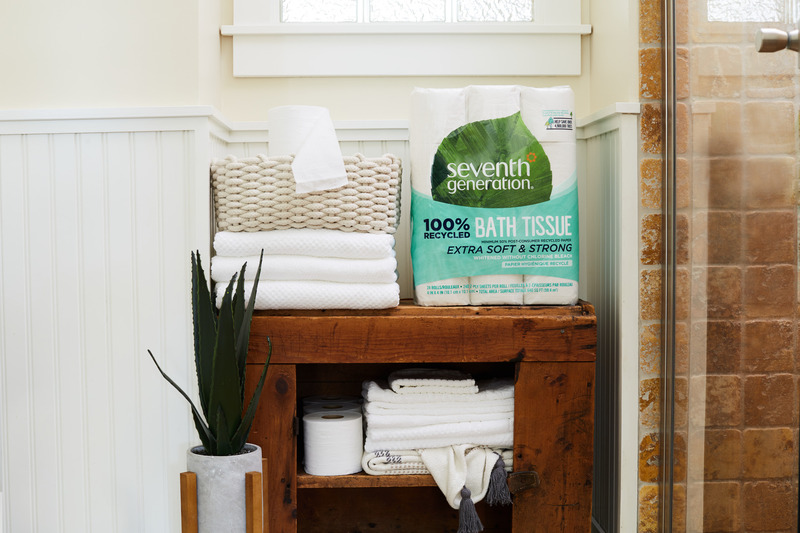 All of the bathroom tissue, paper towels and trash bags are made from 100% recycled material (80% post-consumer content, 20% pre-consumer content). They also determined that if every household in the U.S. replaced one 12-pack of 240-sheet virgin fibre bathroom tissue with this product, we could help save over 2,400,000 trees. Gentle on the environment, but strong and soft 2-ply, it’s whitened without chlorine bleach, which means that you aren’t applying more chemicals onto sensitive areas of your skin with each use. It’s a much cleaner bathroom tissue because all toilet paper releases loose paper clouds of substance as you use it, but this one covers everything that the standard tissue does, but by releasing less than other products. Wipes: Their wipes combine gentle, cloth-like performance with the thickness you need to wipe away little (and big) messes. Free of alcohol, dyes, fragrances, parabens and phthalates, their wipes are made for baby’s sensitive skin. Diapers: Made for your baby’s sensitive skin, their diapers do what diapers need to do best – keep your baby leak-free and dry. And they do it with an absorbent, high capacity core that is free from chlorine bleaching, fragrances and lotions because they think that babies should smell like babies. I’m also crazy about the disinfectant wipes; I keep a container under the sinks in my bathroom and kitchen, one in my car and another at the office. 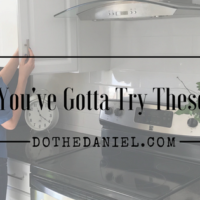 They’re easy to use for quickly wiping dust and grime off surfaces or cleaning a spill. Since swapping to eco-friendly home cleaning products, I noticed my hands are significantly less dry – they used to crack when I cleaned with other products and my skin feels overall less irritated. Plus it feels great knowing I’m using a product that supports environmental health too.